Outlander by Diana Gabaldon was plopped into my lap by one of my oldest friends years before I had children. She mentioned it a few times before I rose to the bait. Eventually, she had to physically hand it to me before I fell into the world of Scottish Highlands, wars, adventure, scandals, conspiracies and history. Diana poses a quick wit and expansive vocabulary that nerds like myself enjoy. Outlander recently transformed into a STARZ television show that airs the 9th. I have no idea how this series will come off to a non-Outlander fan, but as a fan, I am as happy as Claire with a thriving batch of penicillin. On to the wax! Tulach ard! Book Scents on Etsy, specializes in candles and clamshells based on books. Her clamshells are large, at 6oz ($8.50). 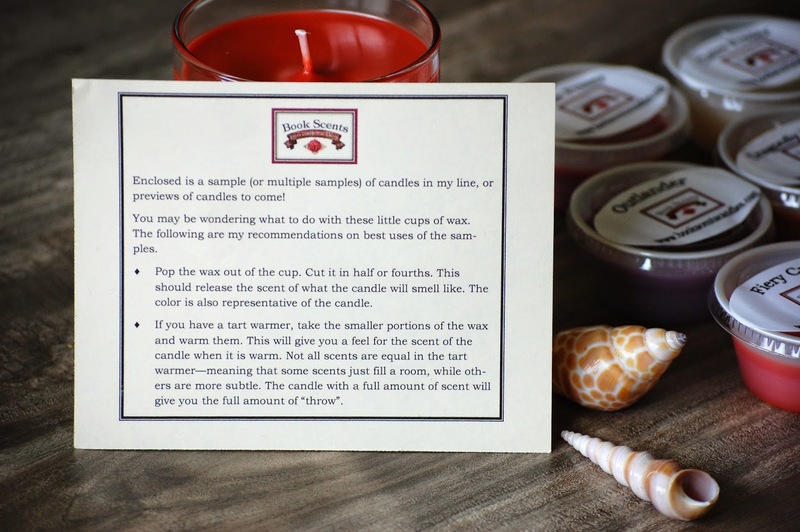 Candles are 10oz and run $14.00 on average. She also offer "samples" of candles in scent shots. I ordered during an Outlander Premier Special that my dearest Ashely informed me was running. 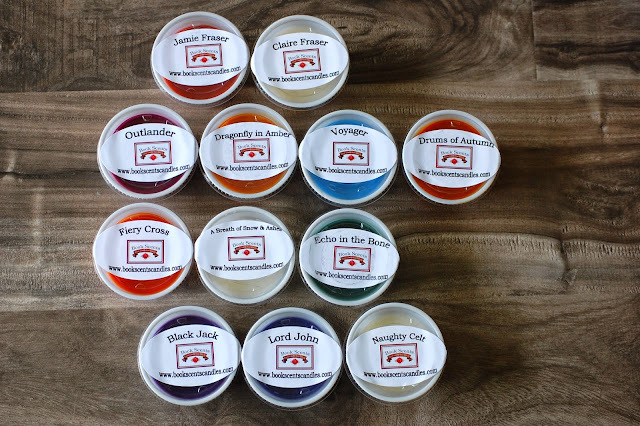 For $35.00 shipped, I could chose a full sized candle and receive all 12 Outlander themed scent shots. Och, aye. What a deal! It came in splendid packaging. 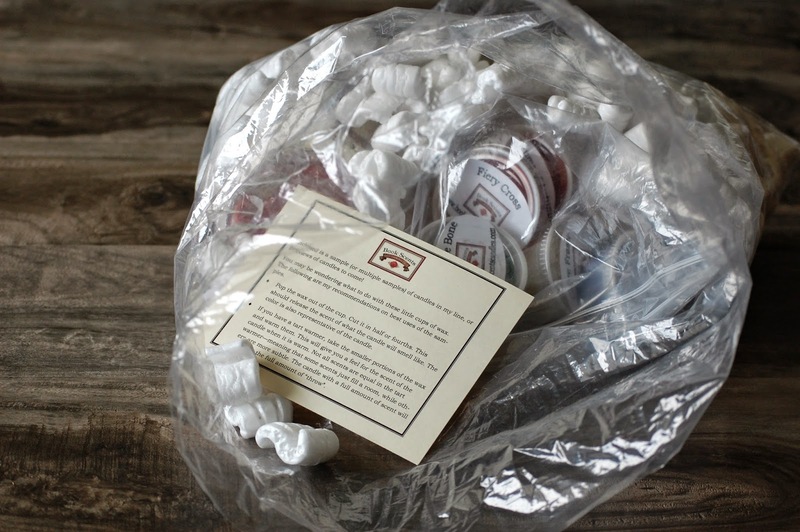 The candle was wrapped in bubble wrap, the scent shots were in a zip top bag, these were placed in a larger bag and filled with peanuts. This whole bag was mailed in a box. Well done. 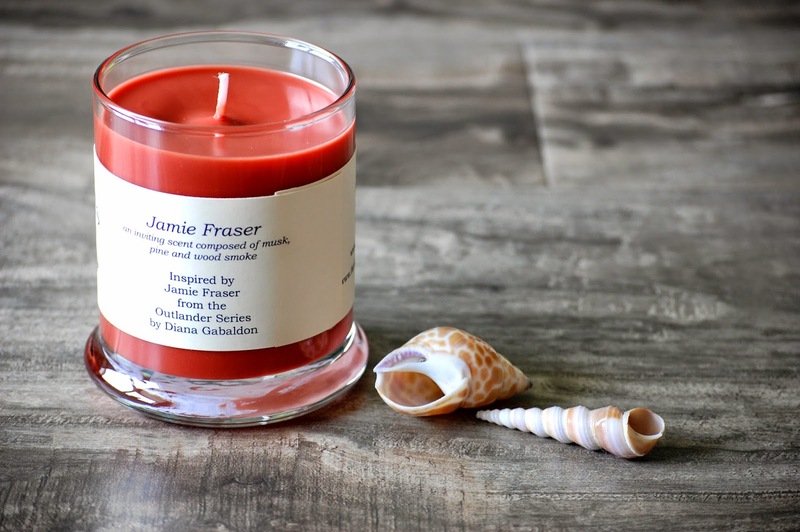 Jamie Fraser smells... >sniffs candle< mmmmm >sniffs again<... dinna fash... I am getting there... good. Musk, pine and woodsmoke blend into a cohesive cabin scent. The smoke evokes images of pale white wisps of ephemera emitting from the chimney as seen from a distance. Not bitter, not pungent. The musk is clean, not animalic, the musk of warm bodies snuggled under a frayed quilt. The pine logs that comprise the cabin are mellow with the passing years. Come October, I will burn and review this candle. Claire Fraser- a delicate scent of fresh herbs not herbal in the green, bitter sense, more of a sweet lemongrass maybe. Melted, it throws medium-strong for about 3 hours then dwindles. a pretty and clean nondescript scent. Dragonfly in Amber- a romantic blend of amber, sandalwood, and musk smells just like Amber Romance from Victoria's Secret. Excellent duplication. Drums of Autumn- crisp scent of Autumn leaves this is like the Autumn Woods/Autumn Forest type of scent, earthy, hay, leaf piles, and a touch of soil. No sweetness at all. 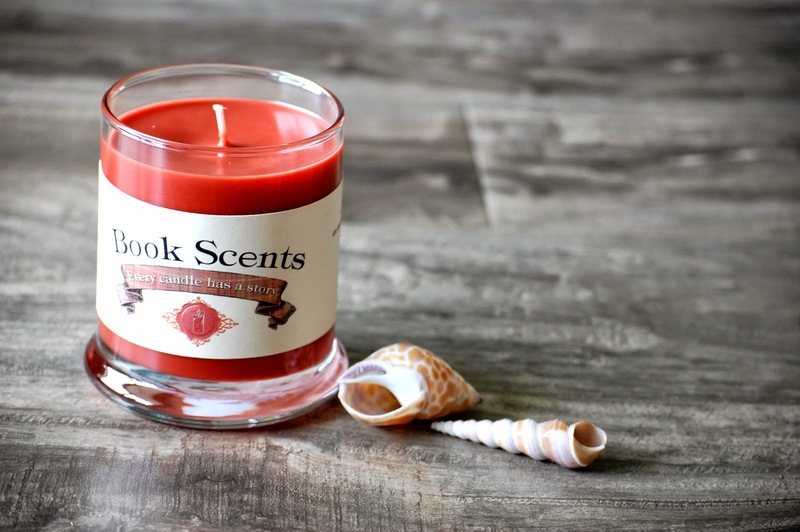 Fiery Cross- a warm blend of woods, leather, rich amber, and cashmere musk this is the smokiest most delicious fireside I have ever laid nose on. If you do not like smoke, this won't be for you, but if you do... do yerself a favor Sassenach and dinna wait. Get this now! A Breath of Snow and Ashes- a bright scent of fresh mint and cool pine needles hmmm... not as minty crisp pine as I would like... there is a strange ginger ale thing going on. Ginger. Jamie. Echo in the Bones- no scent description as this is a new preview scent! leather! suede! maybe a touch of vanilla. This is fun for me as I like to compare what I pick up opposed to what is actually in there. Black Jack- a blend of fresh linen and lavender what an odious man! That dern Black Jack, he should smell of sulfur and malign glances, dessicated mummy hearts and nefarious thoughts... but he smells like shampoo apparently. Melted, this threw strong for about 5-6 hours. Lord John- the fresh, clean scent of warm linen shirts a watery scent, clean, strange mineral water note maybe. Naughty Celt- a sensual blend of sandalwood, bergamot, orange, leather and musk this is good! The leather is foremost, with bergamot spicing it up. Elegant bedroom scent. Overall, I am pleased with my first Book Scents order. Must-haves that I will be returning for include: Fiery Cross, Jamie Fraser, Dragonfly in Amber, and Naughty Celt. Those will all make lovely Autumn home fragrance choices. Now go read that book! There are some great scents to pick from and a few different series. The Divergent ones look cool too. :-) a candle that smells like Four?! Yes please.